You will never learn German, my brain keeps telling me! If you are wondering what this has to do with these wonderful Portuguese Sweet Potato Muffins, well, not much. Except, since I have started learning German again in view of my departure to Vienna in around 4 months (oh boy, better not think about it! ), I created a new ritual. I decided my wonderful and patient teacher and my fellow student should be my sweet recipes testers. It is great to have feedback on some of the recipes I post here. At the same time I’m always hoping my brain will appreciate the extra fuel and will start believing in my German learning abilities. And secretly, I also hope the sweet treats will make my teacher a little less strict. I’m afraid so far nothing seems to be working much, except that my nice recipe testers seem to be enjoying my cooking. The idea is to do something different every week and have them taste some of my favourite Portuguese recipes. A taste of Portugal while learning german! It sure makes me feel better about my german shortcomings. Which brings me to the sweet potato muffins that must have been the fluffiest muffins I ever did. Fluffy and light with a great sweet potato taste and a nice sugary and cinnamon bite on top, they are impossible to resist. Preheat the oven to 180ºC/350ºF. Wash and wrap the sweet potato in aluminum foil and bake in the oven until it is soft. It took me about 40 minutes. 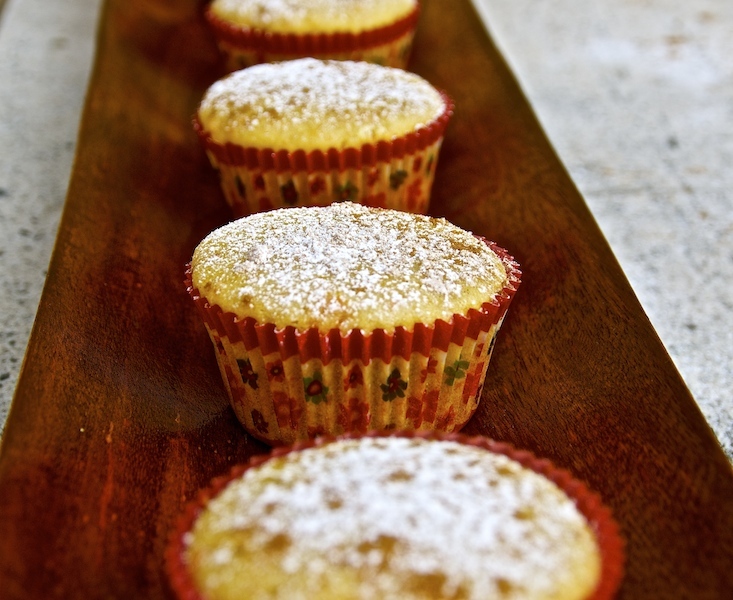 Line a muffin pan with paper muffin cups. In a big bowl mix the flour, the baking powder and baking soda. In an electrical mixer beat the butter with the brown sugar until creamy. Add the eggs one by one and beat until well combined. Add the sweet potato puré, the milk and beat well. Add the dry batter and fold in until well incorporated. Divide the batter between the paper cups making sure not to fill them till the top. Bake at 180ºC/350ºF for 20 minutes. They will be ready when a toothpick inserted in the middle comes out clean. Let them cool down a bit and then sprinkle them with icing sugar and cinnamon to taste. Enjoy! I will make these…. they look so yummy! Gracias María querida un beso para todos. 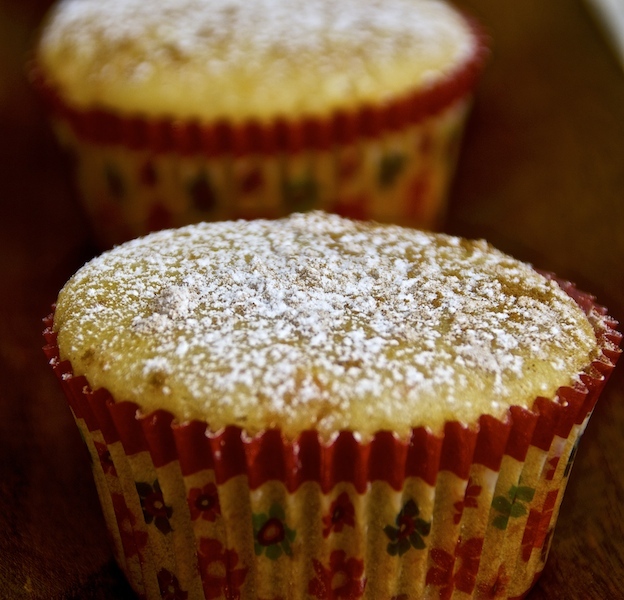 Just made these muffins today.. delicious! Great Iman, I’m so happy you liked them.